Margaret to play the New York Comedy Festival! Margaret’s hitting the road this fall with a brand new stand-up tour, Cho Dependent, sponsored by Logo, and coming to a city near you! Most of the tour dates have been on sale already, but we are excited to announce that Margaret’s NYC date will be a part of the New York Comedy Festival! The New York Comedy Festival, presented by Comedy Central, runs from November 3-7, and in addition to Margaret, features performances by Aziz Ansari, Louis C.K., Nick Swardson, Brian Regan, and many more. Margaret’s show at the Beacon Theatre on November 5th goes on sale to the public on Monday, August 9th at 10am ET. 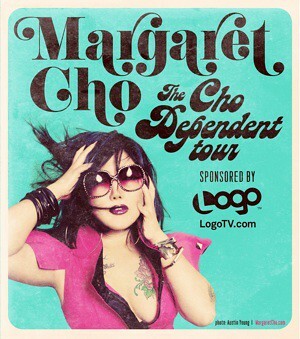 Check out Margaret’s Tour Page for a complete list of Cho Dependent Tour cities and ticket info.